The north end of this pass is closed due to a rock slide. Tomichi Pass divides Middle Quartz Creek to the north from Tomichi Creek to the south. From Brittle Silver Basin at the north end the top of Tomichi Pass is reached quickly. 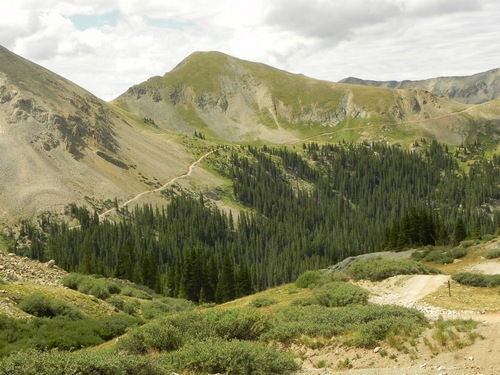 The 4WD road comes out of Brittle Silver Basin near a mine and heads up a narrow ledge road toward Tomichi Pass betwen Paywell Mountain and Central Mountain. As you climb higher past timberline the Jeep trail becomes a single lane. Be aware of oncoming traffic. Photo. 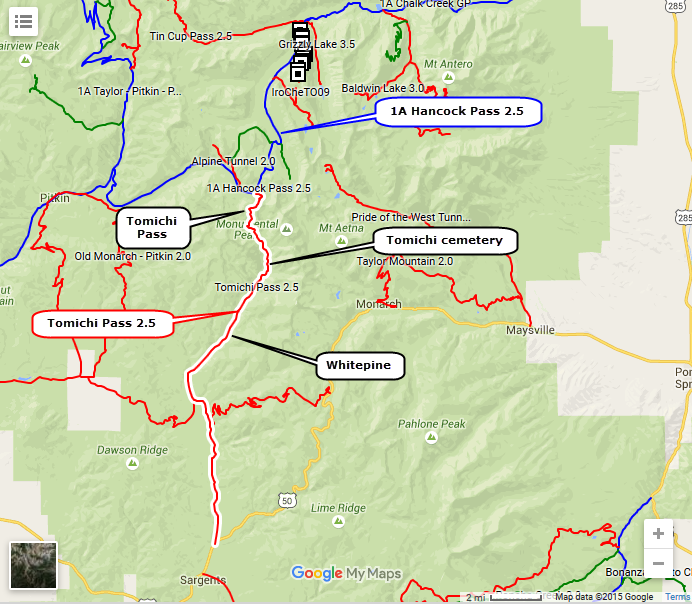 The top of Tomichi Pass is short with very little room for vehicles. You will have a great view of the west side of Hancock Pass and Middle Quartz Creek. Continuing over the pass the road follows a valley down to timberline and ties in with the Tomichi Creek drainage. 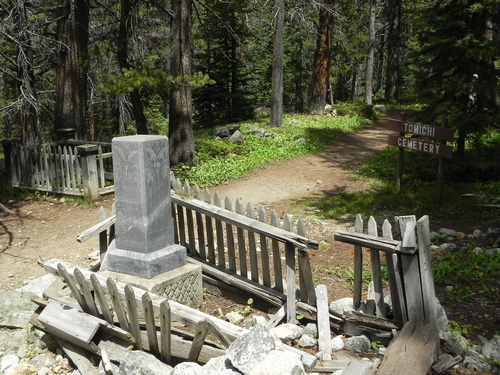 At the southern end of Tomichi Pass is the old Tomichi Cemetery. Continue downstream and come to the townsite of Whitepine. There are newer homes going in along Tomichi Creek.